Croatia is a Central European and Mediterranean country, bordering Slovenia in the west, Hungary in the north, Serbia in the east and Bosnia and Herzegovina in the south; the country also has a long maritime border with Italy in the Adriatic Sea. These borders total 2,028 km altogether. Croatia has an unusual shape (similar to a croissant) that is unlike any other country in the world, which is as a result of five centuries of expansion by the Ottoman (Turkish) empire towards Central Europe. (Having said this, the Turks never actually conquered Croatia). 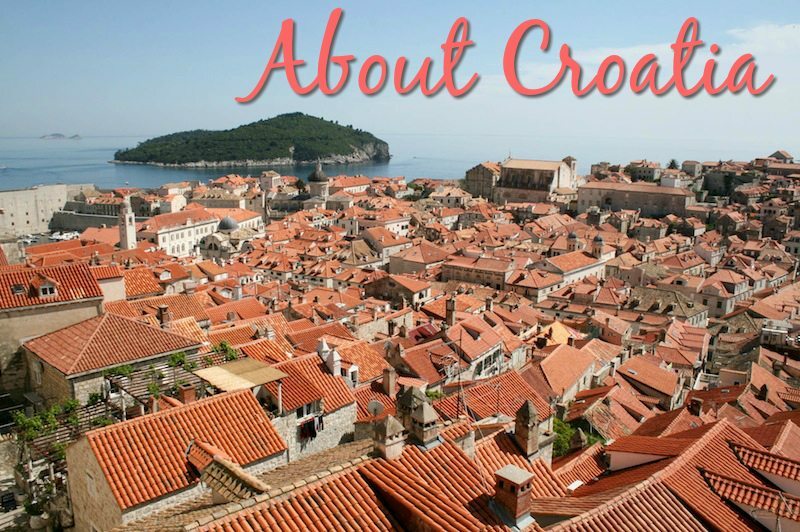 If you’re interested, we have more on the history of Croatia. Croatia covers a land area of 56,691 square kilometres and has a population of about 4.29 million people (2011 census). Almost 90% of the population is Croat (the majority of whom are Roman Catholics) and there are also Serbian, Bosnian, Hungarian and Italian minorities. The main population centres are Zagreb, the capital (with a population of just under 800,000), Osijek in the northeast (population: 107,000), and the ports of Rijeka (population: 128,000) on the northern part of the coastline, and Split (population: 178,000) towards the south. Other well known towns include Dubrovnik, Makarska, Porec, Rovinj, Opatija, Zadar and Sibenik. Croatian is the official language, which is written in the Latin script. The Croatian alphabet has 30 letters – all the letters of the English language, minus the q, w, x, and y but with the addition of č, ć, dž, đ, lj, nj, š and ž. See our Croatian for Travellers guide for a more detailed guide and an introduction to the Croatian language! Croatia has an amazing 5,835km of coastline, 4,057km of which belongs to islands, cliffs and reefs. There are 1,185 islands in the Adriatic, while only about 50 are populated. The largest island is Krk (near Rijeka) which has a land area of 462 square km, whilst the country’s other well known islands include Hvar, Brac, Korcula and Pag. The climate is Mediterranean along the Adriatic coast, meaning warm dry summers and mild winters, with 2,600 hours of sunlight on average yearly – it is one of the sunniest coastlines in Europe! The interior of the country has a continental climate with hot summers and cold, snowy winters. More facts and figures on the country can be found at the CIA World Factbook on Croatia.